An undermount kitchen sink compliments most countertop styles, but it looks particularly great on granite and quartz countertops. If you have decided on an undermount sink instead of an overmount option, only one thing is left. We found the best undermount kitchen sinks for granite countertops and reviewed them so you don’t have to. Undermount kitchen sinks are installed underneath the kitchen counter, held by adhesive, clips and brackets. So when installing an undermount sink you need to make 100% sure it doesn’t dangle or move and it’s properly fitted. If you are installing it yourself, choose one that has all the hardware you need to do a good job and don’t be tempted to make savings on the installation. You really don’t want your undermount sink moving as you do the dishes. A double bowl undermount kitchen sink is, in our opinion, the most practical choice if you have the space. Measuring at 32.8x19x10 inches, this stainless steel undermount kitchen sink is a perfect fit for a busy kitchen. It has two bowls, measuring 13″ and 17″ wide respectively, with a total length of 17″. It is a very satisfactory 10″ deep, which holds about 30 dinner plates stacked on top of each other. No more trying to wrangle a dirty pan on a shallow kitchen sink! Kraus is the manufacturer of the best undermount kitchen sinks for granite countertops, offering a lifetime warranty on their stainless steel sinks. Kraus undermount sinks are very easy to install on granite countertops, even by a non-expert. In fact, they come with a full set of instructions, installation template and all the hardware you’ll need to attach your new stainless steel undermounted kitchen sink to any granite countertops. The neutral stainless steel compliments any type of granite, from light to dark, and will look great for years if you are careful not to scratch it accidentally. This sink is made of premium grade 16 gauge stainless steel. What does that mean? 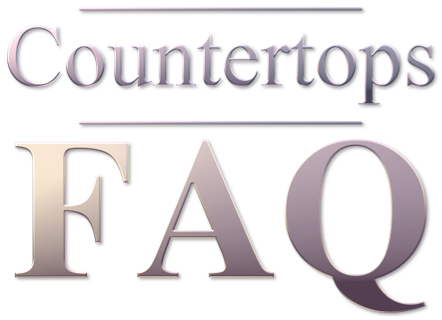 As with stainless steel countertops, the gauge represents the quality of the steel and how dent-resistant it is. Which is very important when talking about an item which can be hit hard accidentally by a slipping pot. If you get a scratch on it, know that you can remove scratches from stainless steel sinks pretty effectively as long as they are not too deep. If you are worried about the noise of metal and dishes hitting your sink while washing, you’ll love the Kraus NoiseDefend soundproofing technology that prevents it. It effectively means very thick rubber pads wrapping around 80% of the base of the sink, which absorb the vibration and reduce the noise. The double bowl configuration is very practical as you can effectively use it as two sinks, using one to soak dirty dishes and the other to wash your vegetables for example. Unless you have very large pots and pans, the size of the largest bowl is enough for washing most kitchenware. We love this sink because Kraus has actually thought about the end user, the person who will be installing and using the sink. Accessories such as the bottom grid, 3-piece basket strainer, and cotton dish towel are included with your purchase. If you have very large pots and pans or just rather have an undermounted single bowl kitchen sink, this is the one to go for. This one is evenly matched to the KHU103 above in terms of the best undermount kitchen sinks for granite countertops. The only difference is that this one has a single bowl and is marginally smaller, but in this case, for most kitchen configurations size shouldn’t be the deciding factor as they are both quite standard sized. A slightly cheaper alternative to the Kraus stainless steel undermount sink rage, this is a worthy competitor. It’s manufactured with 16 gauge stainless steel, which is basically indestructible industrial grade material. It also offers a lifetime warranty, making it a great option that will last as much as your granite countertops. It is even good enough to be used in restaurants! 32x19x10 inches. It can be pretty heavy because it’s solid stainless steel, so it’s worth getting a hand when installing it just to be on the safe side. This undermount kitchen sink is also considered one of the quietest in the market. The insulation included greatly diminishes the sounds from the tap or dishes hitting the metal. It has 4.2mm thick sound pads covering over 90% of the sink. If you are considering installing a waste disposal unit, the insulation will also reduce the noise from it, making it a really quite stainless steel sink. The only thing we could complain about is that sometimes it doesn’t drain properly, and water can be left at the bottom. This is very inconvenient if you have hard water, as you can end up with watermarks at the bottom of your sink, but it seems to be hit and miss and related to installation angles. Tired of stainless steel kitchen sinks? While it is true that stainless steel is a very popular material for sinks due to its durability and looks, it’s not the only one. There are undermount kitchen sinks for granite countertops that are NOT stainless steel, but there are few. This is the best of them. It is made of a granite composite called Silgrant (80% solid granite) making it impervious to heat and cold, and incredibly durable. And it actually comes in black, which is perfect to match granite countertops and will give your kitchen an unique look. It comes in a variety of colors, all of them dark, from a dark grey to anthracite and reddish brown. It’s just stunning! In terms of installation, the flat deck style is ideal for both drop-in and undermount installations for granite countertops. It is a solid piece of granite so it is very heavy, which may make installation interesting. On the other hand, once it’s properly settled there is nothing that will move it and will look great for decades. It measures 33.5x22x 9.5 inches. This makes it comfortably spacious to soak large dishes and pans. A beautiful and practical granite undermount kitchen sink suitable for all granite countertops. If you love the look of the Blanco granite sinks but don’t like having a single bowl, the Swanstone QZLS/3322.077 is also a great double bowl undermount kitchen sink. It features a stylish split design that is both unusual and practical, with a larger and a smaller bowl. It can be installed as a drop-in or an undermount and fits most standard kitchen sink holes if you are remodeling your kitchen. It has a solid, matte black finish that would look great against many granite countertop patterns but particularly striking against white or light ones. The finishes are rounded and organic looking, so it would fit a modern kitchen very well. Kraus manufactures some of the best stainless steel undermount kitchen sinks for granite countertops. And it also has really beautiful, onyx black granite sinks that can be installed as drop-in or undermount. This sink is a dual bowl one, slightly more shallow than the stainless steel models above but still pretty deep at 9.5″. It measures 33″ long and 22″ wide and will fit cabinets over 36″. One of the major benefits of this granite undermount kitchen sink is the fact that it’s treated with UV filters, preventing discoloration. This means that even if your sink is in direct sunlight it won’t lose color or look bleached out. As long as you treat it like you would your regular granite countertops and clean it often with a wipe, it will last you forever. Unlike stainless steel kitchen sinks, granite sinks are largely silent, and they absorb noise without the need for special soundproofing systems. Granite is also fine with extreme changes of temperature, so you won’t need to worry about dropping a very hot pan straight to the sink. They don’t scratch and in some aspects they are even better than stainless steel as long as you don’t leave acidic liquids inside it that could affect the sealing. In terms of installation, it comes with all the hardware you may require to install it as a drop-in or undermount. It also comes with a cutout template and an installation manual. It is very heavy, so handle it with care to avoid hurting your back or dropping it accidentally. It also comes in other colors, but the black one is particularly stunning and will look great as an undermount kitchen sink for granite countertops or quartz countertops of any kind. Choosing one among the best undermount kitchen sinks for granite countertops is not easy, but any of the above will do the job nicely. Whether you prefer granite or stainless steel kitchen sinks, undermount sinks integrate beautiful with granite countertops and look great in any type of kitchen.